Homeopathy has no role to play. 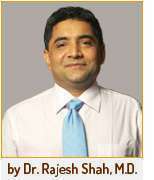 Dr Rajesh Shah is a homeopath, a researcher and a promoter of scientific Retinal detachment is a condition in which the retina peels off from the underlying supportive tissue. Retina is the innermost layer of the eye which reacts to light and forms images. It is a medical emergency. Laser Surgery or freeze treatment known as cryopexy is used to treat retinal detachment. Surgical results are best if the macula (a point in the retina where the light is concentrated and images are formed) is not affected. Homeopathy has no role to play in the treatment of Retinal Detachment.